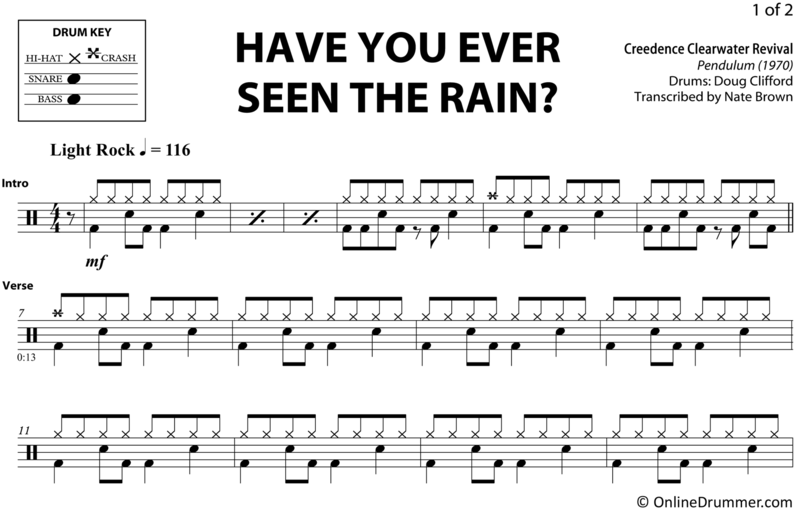 The full drum sheet music for “Have You Ever Seen The Rain” by Creedence Clearwater Revival (aka: CCR) from the album Pendulum (1970). This is a great song for a beginner to intermediate-level drummer to practice. Although Doug Clifford’s drum part doesn’t go beyond eighth notes, the hi-hat tensions, dynamics and various bass drum patterns keep this piece fun to play. 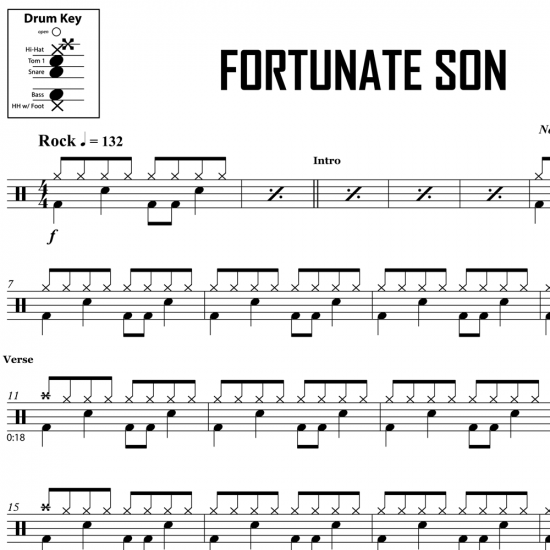 The full drum sheet music for "Fortunate Son" by Creedence Clearwater Revival from the album Willy and the Poor Boys (1969).